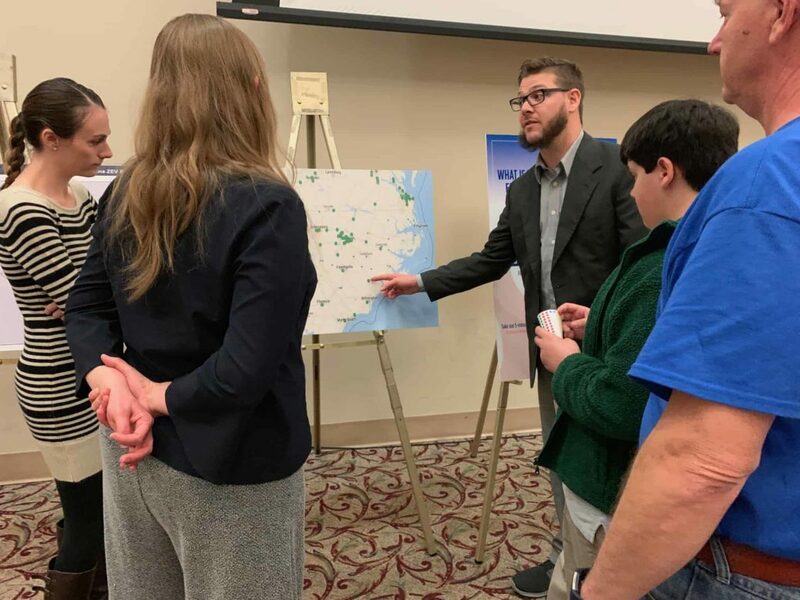 Last week, members of the public attended four Zero Emission Vehicle (ZEV) Information & Input Sessions hosted by the NC Clean Energy Technology Center and the NC Department of Transportation (NCDOT) at four locations in North Carolina, to gain information and provide feedback on Gov. Roy Cooper’s Executive Order 80 and NCDOT’s ZEV plan. Late last year, Governor Roy Cooper instructed state agencies to make plans to promote clean energy in Executive Order 80. As part of the effort, NCDOT is creating a statewide plan to promote the use of clean transportation technologies and is looking for input from the public. Gov. Cooper’s Executive Order 80 plan is to increase the number of registered, zero-emission vehicles (ZEVs) to at least 80,000 by 2025. ZEVs, or vehicles that emit no exhaust gas from the onboard source of power, include battery electric vehicles and hydrogen fuel cell vehicles. According to EO80, the ZEV Plan should help establish interstate and intrastate ZEV corridors, coordinate and increase the installation of ZEV infrastructure, and incorporate additional best practices for increasing ZEV adoption when appropriate – by October 1, 2019. NCDOT’s Zero-Emission Vehicle Plan is designed to achieve the ZEV target and address those topics of ZEV corridors and ZEV infrastructure. Speakers present at the ZEV sessions were Jeremy Tarr, Policy Advisor for the Governor’s Office; Heather Hildebrandt with NCDOT, and members from NCCETC’s planning partners, including the Land of Sky Clean Vehicles Coalition, Centralina Clean Fuels Coalition, and the Triangle Clean Cities Coalition. 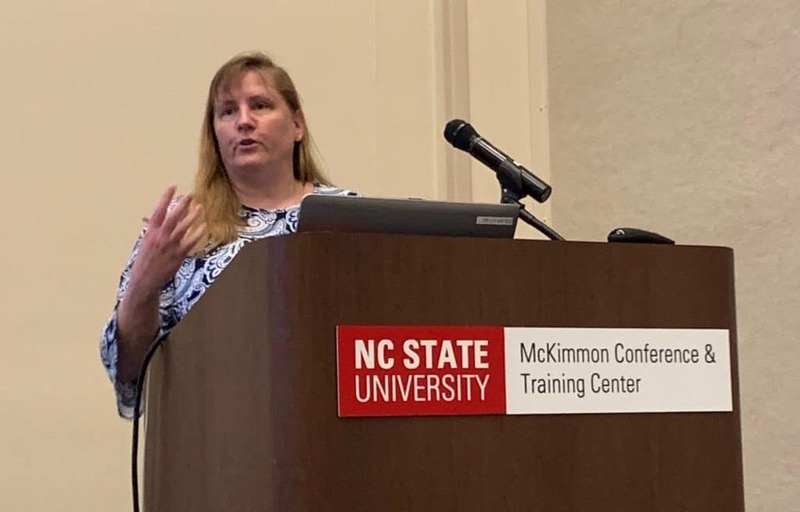 Tarr laid out details of Governor’s EO80 plan, expressing why it is so important to accomplish – pointing to North Carolina’s recent hurricanes and floods. Hildebrandt presented a map of North Carolina showing FHWA Designated EV Recharging Corridors – showing locations where signage is ready, pending and not ready. 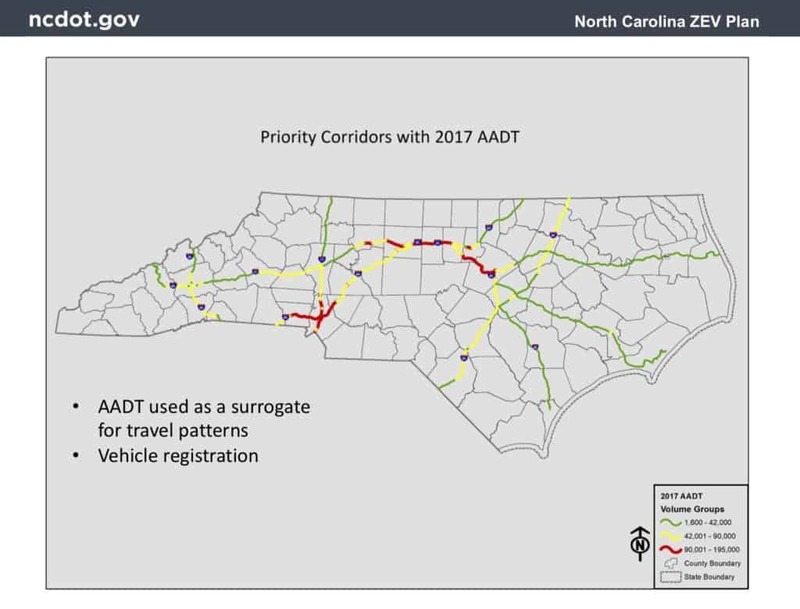 She also presented a map of North Carolina’s Priority Corridors, showing travel patterns in the state. To learn more about NCDOT’s clean energy and climate change work, visit the website here. You can provide feedback to NCDOT by completing an EV adoption survey here. The survey includes a map feature where you can drop pins in locations you’d like to see EV chargers. More than 16 states have completed or initiated ZEV and EV planning activities in 2018, from Colorado to Hawaii to Rhode Island, said Allison Carr, Clean Transportation Specialist at NCCETC. Some states are updating plans more than 5 years old, and others are responding to new statewide goals (related to energy, GHGs, or transportation). The common themes among the states seem to be ZEV availability for consumers and automaker (OEM) and dealer collaborations; planning for education and awareness; need for consistent, supportive and innovative policies for state, city level and public utilities; and buildout and planning for charging infrastructure. New and emerging themes have included ZEV planning that builds on existing EV planning activities or related to statewide energy goals; mobility services as part of ZEV planning, such as exploring and establishing connections with transportation network companies (TNC) like Uber and Lyft; consideration of extreme weather and resiliency; and future planning for inclusion of medium- and heavy-duty vehicles and charging infrastructure. Take a look to see what other states are doing in Carr’s Powerpoint presentation here. 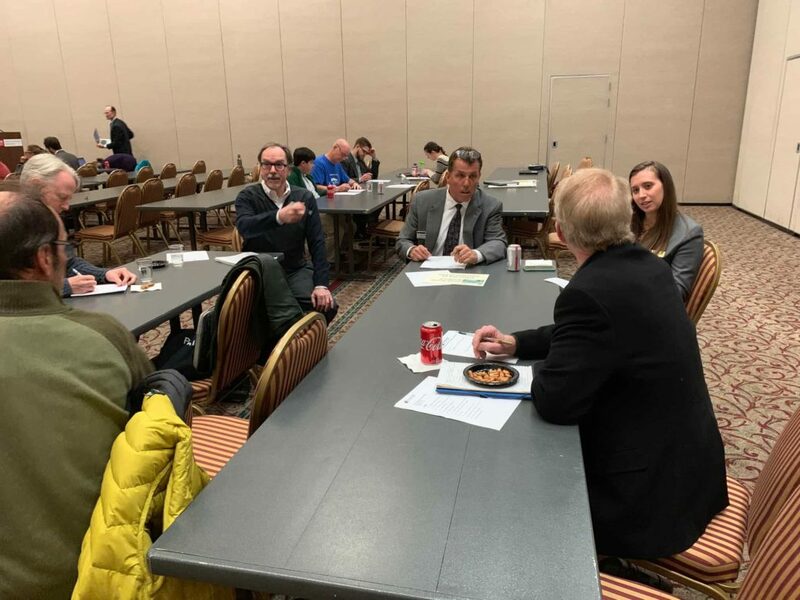 After the expert presentations, guests branched out into groups to discuss their thoughts and ideas on alternative fuel corridors, barriers to adoption of EVs, best practices to promote adoption, and prioritizing funding for ZEVs and infrastructure. 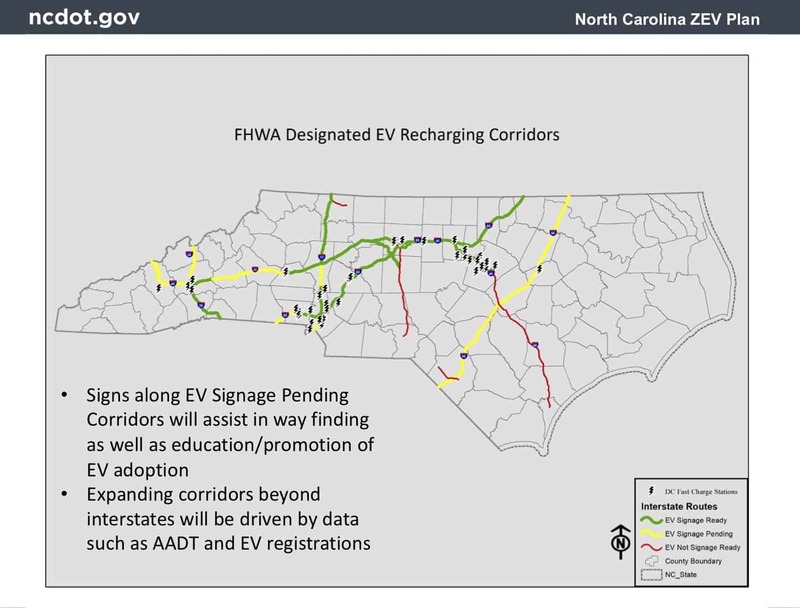 Questions included: How should public funding of EV charging infrastructure be prioritized (both Level 2 and DC fast chargers) in North Carolina? What are the top five barriers to ZEV adoption that should be addressed within the next two years? What areas do you think need a DC fast charger? 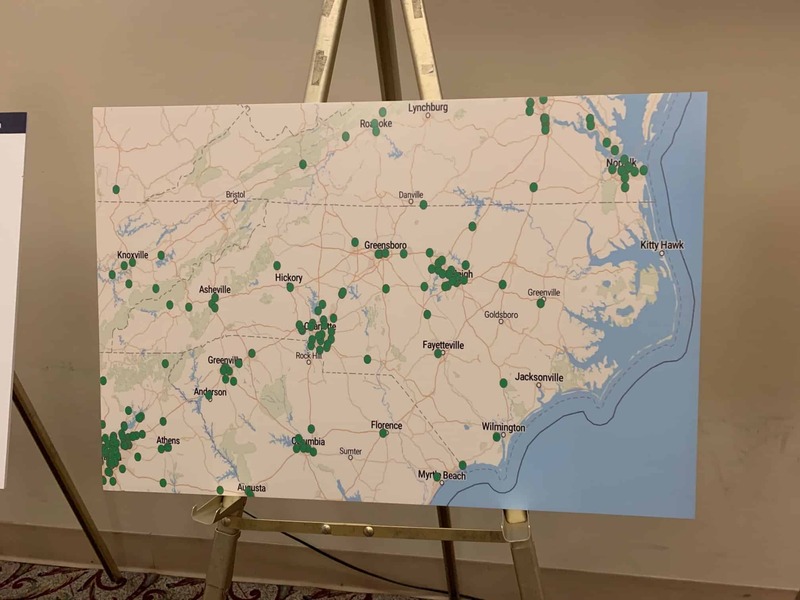 Guests also viewed a map of current corridors in North Carolina and added dots to locations they’d like to see more EV chargers. If you missed the ZEV sessions, you can still provide feedback. Go here to download and fill out our worksheets. You can email worksheets to Rick Sapienza at resapien@ncsu.edu. Also, on Tuesday, April 23 from 2 to 3:30 p.m., tune in to a free NC ZEV Information & Input Webinar with NCCETC and NCDOT to cover the same subjects. Click here to register now. To view Powerpoint presentations from the ZEV sessions, go here. Keep up to date with the latest news from the Governor’s Office here, NCDOT’s plan here, and with NCCETC at nccleantech.ncsu.edu and FuelWhatMatters.org. “For these strategies going forward to be lasting, we need everyone’s input,” Tarr said. This month-long emphasis on the planet, sustainability and how you can make the world a better place is hosted by NC State’s Sustainability Council and University Sustainability Office and sponsored by NC State Campus Enterprises. Earth Month is a month-long series of programs that educate the campus community about sustainability. 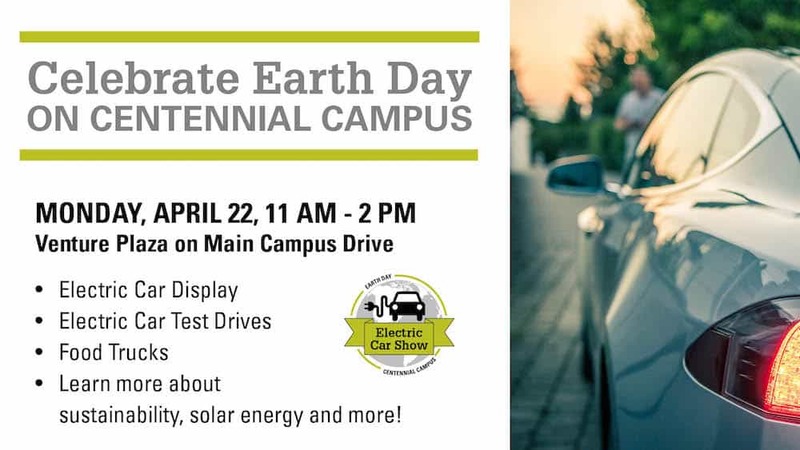 Celebrate Earth Day at North Carolina State University’s Centennial Campus, where there will be an Electric Car Show on April 22 from 11 a.m. to 2 p.m. on Centennial Campus.. Electric cars will be on display and available for test driving, as well as food trucks. Learn more and find more Earth Month events all throughout April here. The North Carolina Clean Energy Technology Center (NCCETC) has officially launched the 2nd Annual “Keep Our Air Clean” Student Art Contest, where students in North Carolina from kindergarten through college can submit their artwork for a chance to be featured on billboards across the state! Artwork should focus on actions that people can take to reduce air pollution from vehicles and help keep our air clean. Examples: walking, biking, using public transportation, using electric vehicles or biofuels, and more. Please make artwork family-friendly and non-partisan. You can learn about the alternatives at cleantransportation.org or fuelwhatmatters.org. Art submissions will be accepted through Sunday, May 5. Please submit by emailing Heather Brutz at hmbrutz@ncsu.edu. Artists who are over 18 or parents/legal guardians submitting on behalf of their children can submit artwork by directly emailing Heather Brutz at hmbrutz@ncsu.edu. You are agreeing to the legal terms below. Teachers submitting artwork on behalf of their students must return a signed permission form. 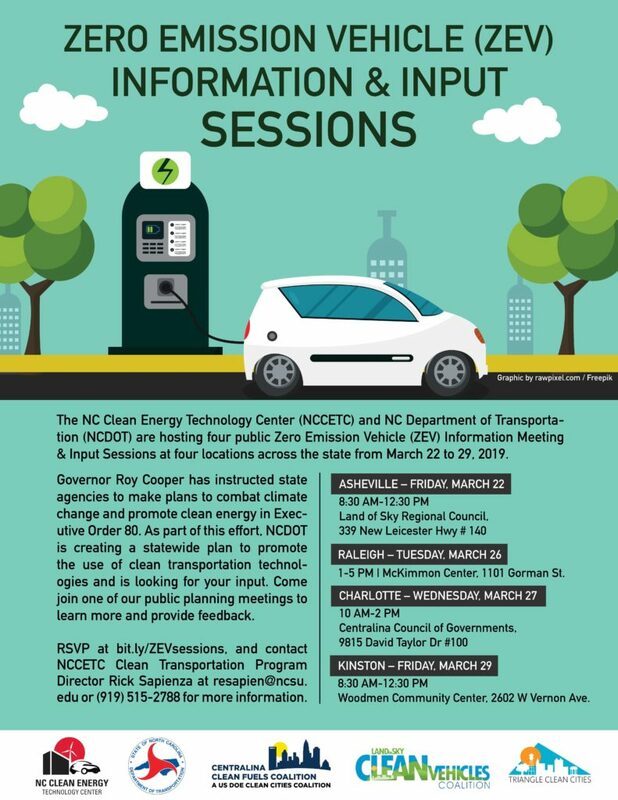 The North Carolina Clean Energy Technology Center (NCCETC) and NC Department of Transportation (DOT) are hosting four public Zero Emission Vehicle (ZEV) Information & Input Sessions at four locations across the state from March 22 to 29, 2019. Governor Roy Cooper has instructed state agencies to make plans to promote clean energy in Executive Order 80. 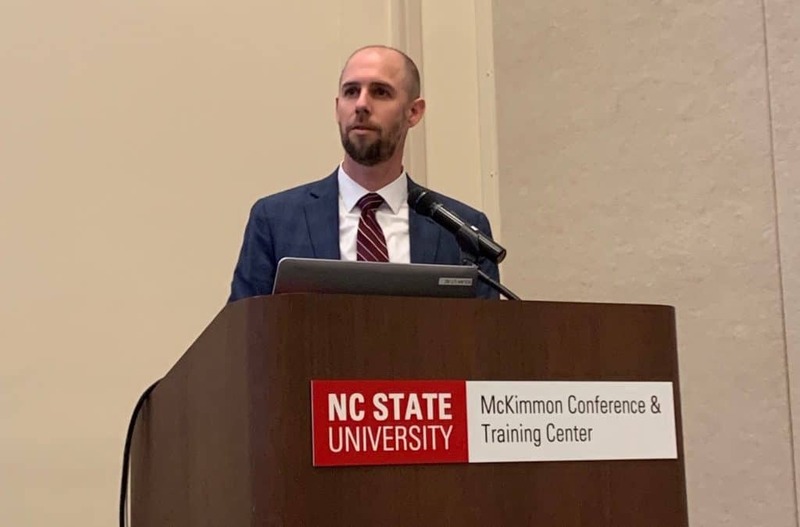 As part of this effort, the NCDOT is creating a statewide plan to promote the use of clean transportation technologies and is looking for input. The public is invited to join the planning meetings to learn more and provide feedback. Please RSVP by visiting http://bit.ly/ZEVsessions. 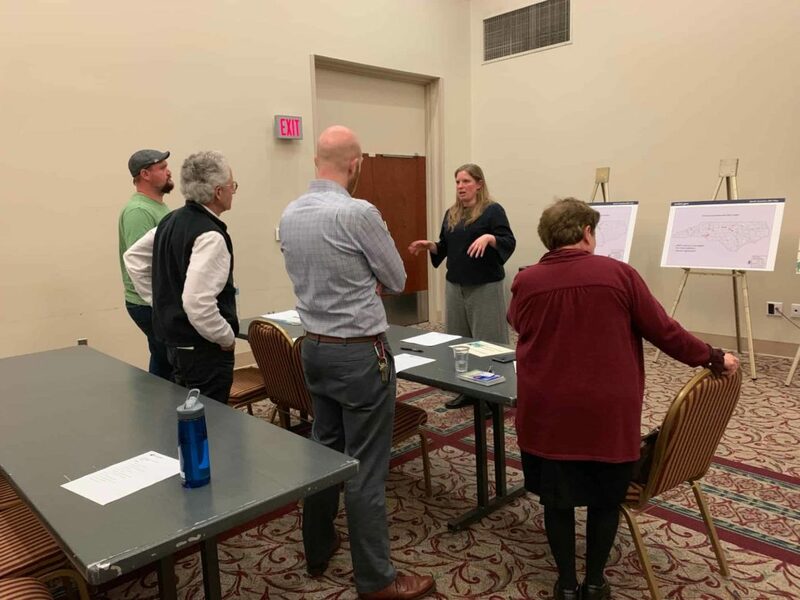 NCCETC’s planning partners include the Land of Sky Clean Vehicles Coalition, Centralina Clean Fuels Coalition, and the Triangle Clean Cities Coalition. For more information, contact Rick Sapienza Director of the Clean Transportation Program at the NC Clean Energy Technology Center, at resapien@ncsu.edu or (919) 515-2788. 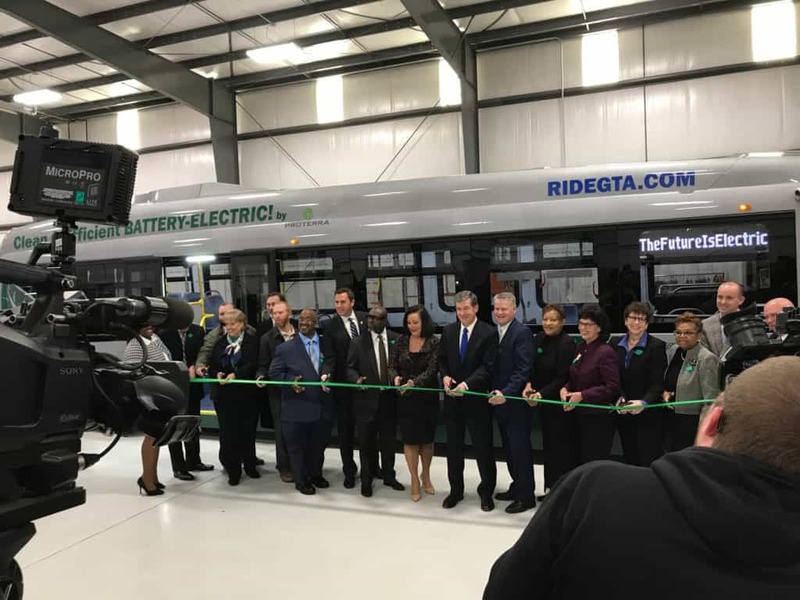 Last week, the City of Greensboro unveiled its first electric buses during a grand opening in Greensboro, NC. 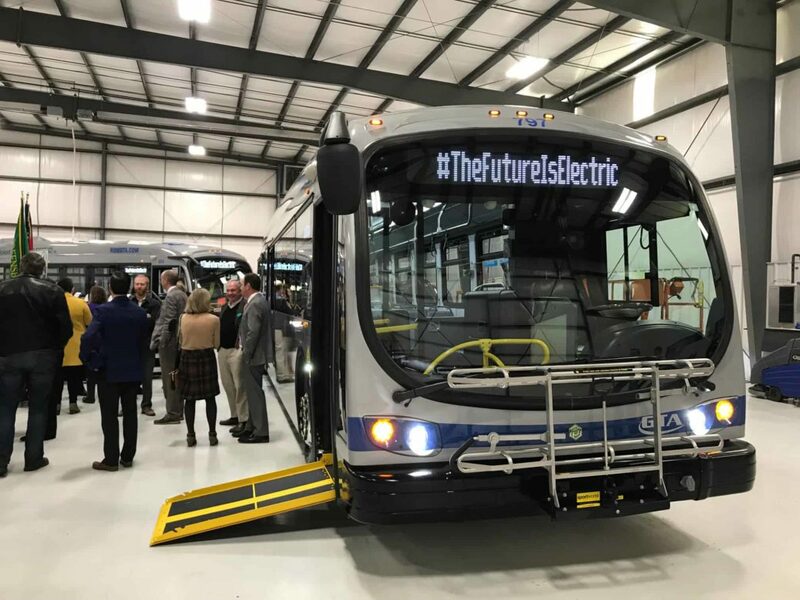 Greensboro is officially the first City in North Carolina to use electric buses in its transit system. The City will have 10 buses in operation in the coming weeks, and plans to have another three to six more buses by the end of the year, bringing the total to 16, or 30 percent of the entire fleet, according to Spectrum News. According to Rhino Times, this means Greensboro will have the second largest bus fleet on the East Coast behind Philadelphia. 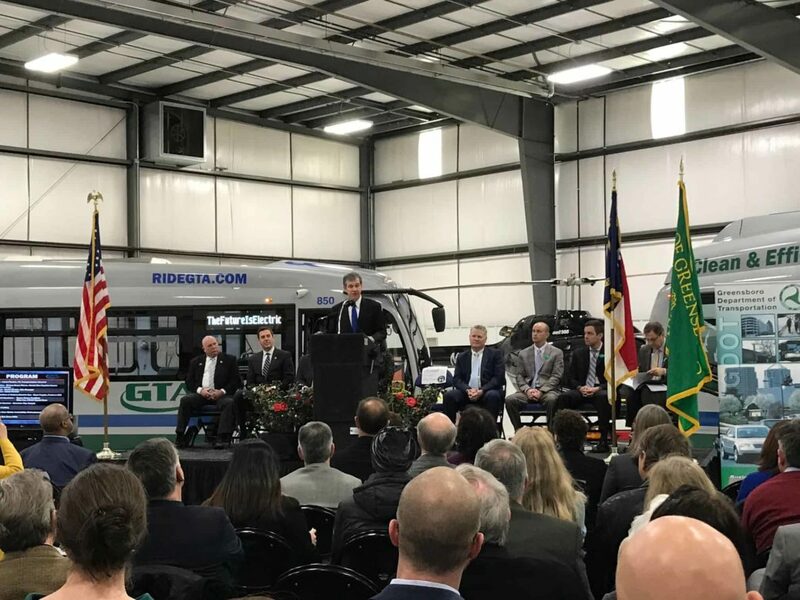 N.C. Department of Transportation Chairman Mike Fox, Proterra CEO Ryan Popple, Greensboro Mayor Nancy Vaughan, and North Carolina Governor Roy Cooper were in attendance at the Greensboro unveiling last week. “This is smarter, this is the way of the future and this is a way for us to make sure we create better paying jobs in North Carolina and become healthier and cleaner while we’re doing it,” Governor Roy Cooper said. The rechargeable electric Proterra buses are more efficient and more environmentally friendly. They are 40-foot and powered by batteries that can provide up to 200 miles of transportation before needing a recharge, according to Spectrum News. The buses are also expected to cost less in both operational and maintenance expenses than a traditional bus, according to WFMY News. It’s estimated that Greensboro will save more than $350,000 per bus per year. The City said it will take the cost savings from the electric buses and expand service, eventually replacing the entire fleet, according to Spectrum News. Learn more about the City of Greensboro and the Greensboro Transit Authority on their website here. The North Carolina Clean Energy Technology Center (NCCETC) is sponsoring its 2nd Annual “Keep Our Air Clean” Student Art Contest this March, where students residing in North Carolina from kindergarten through college can submit their artwork focused on the theme of actions that individuals and families can take to reduce the amount of air pollution from vehicles. Winners will have their artwork featured on billboards across the state to help spread the word about ways that we all can help keep the air clean! View previous contest submissions here. The official link and email to submit photos will be posted this March. Stay tuned on www.facebook.com/NCCleanTech and nccleantech.ncsu.edu! On Wednesday, February 27 from 2 to 3 p.m., please join us for another free Sustainable Fleet Webinar on Ethanol as Part of Your Fleet’s Fuel Strategy. Hear from industry subject matter experts and fleets that have successfully integrated ethanol into their fleet fueling options, and learn about deployment considerations and best practices. Industry subject matter experts will provide a general overview of ethanol fuel basics, properties and benefits. Several fleets from different vocations will tell their stories regarding their decision to integrate ethanol, their experiences, and lessons learned. There will also be a round table opportunity to have myths dispelled, and questions and concerns answered. NOTE: Applications should be emailed to Rick Sapienza.